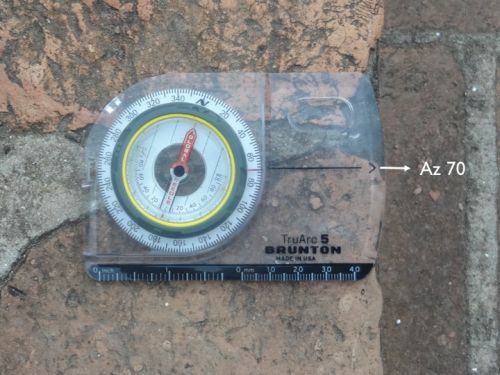 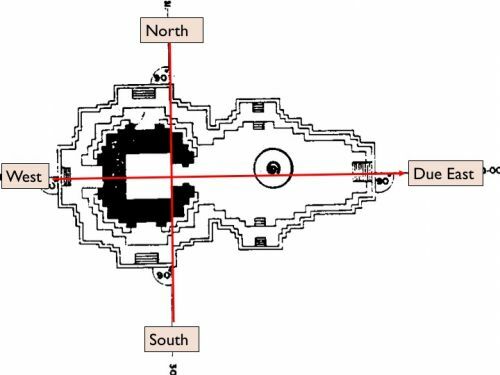 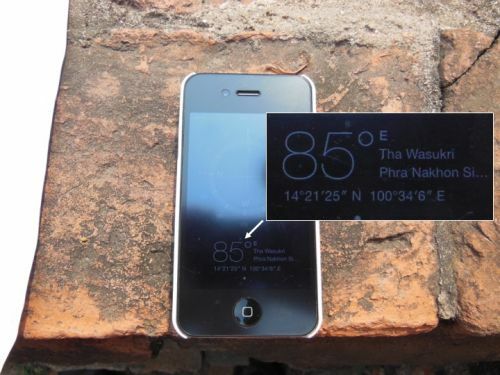 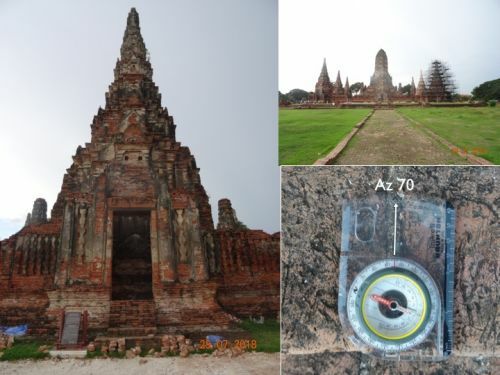 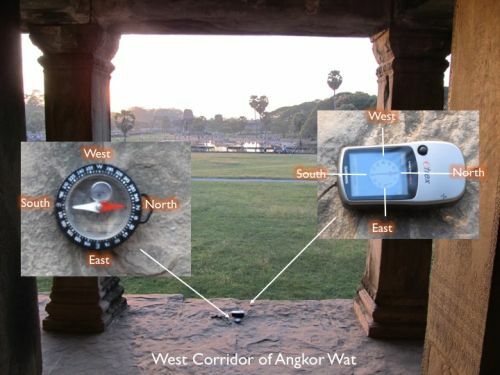 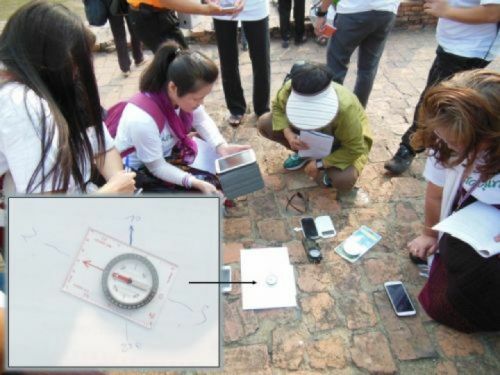 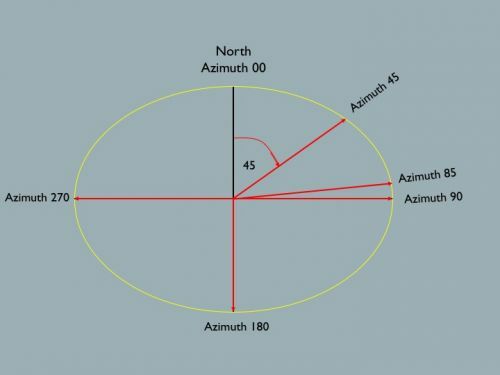 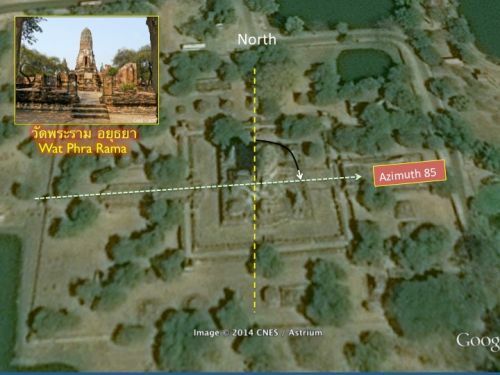 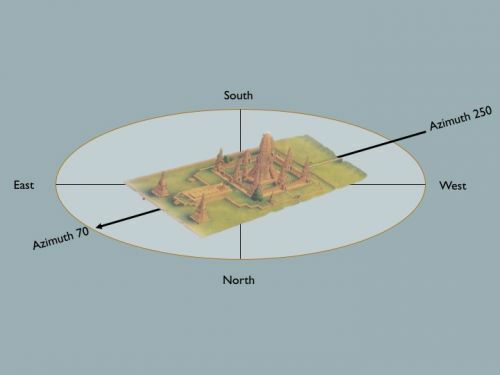 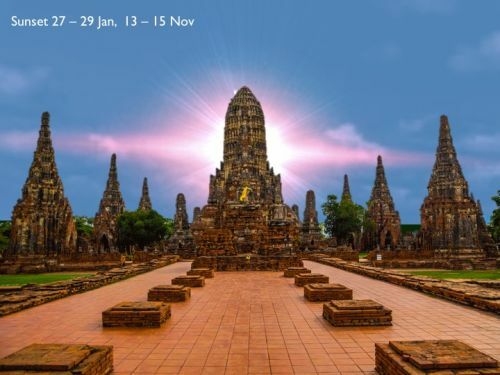 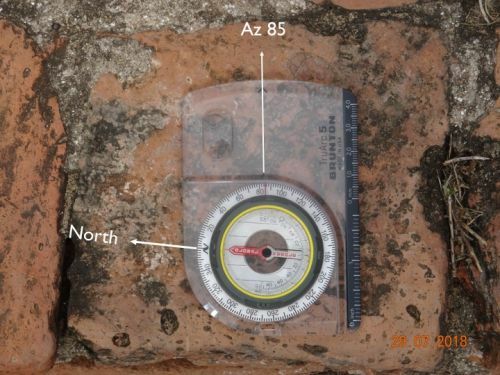 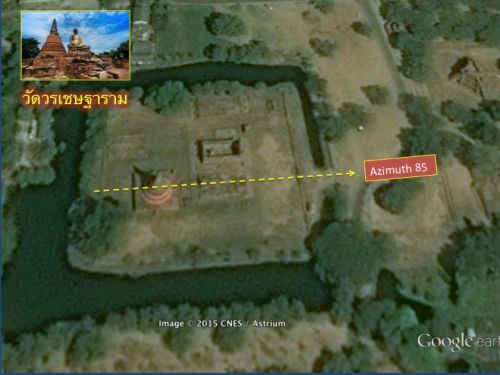 Why major temples in this ancient city are oriented to the same direction at northeast azimuth 85 degree ..... is there any connection to the name Ayutthaya? 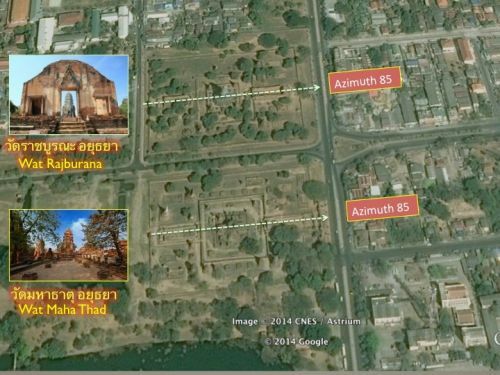 According to the most widely accepted version “The Ancient Ayutthaya was a Siamese Kingdom (present day Thailand) that existed from 1351 to 1767 AD. 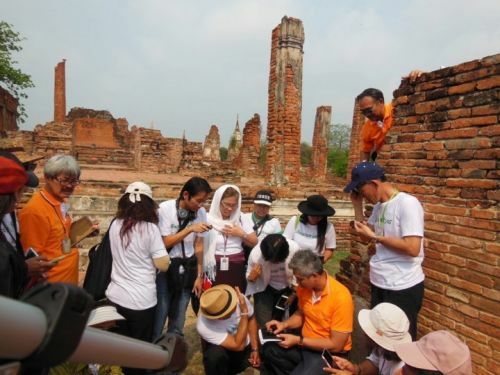 Ayutthaya is Royal City of the Kingdom named after “Ayodhya” the birthplace of Lord Ram in India that is why the physical evidences of Indian influence are clearly seen all over the place. 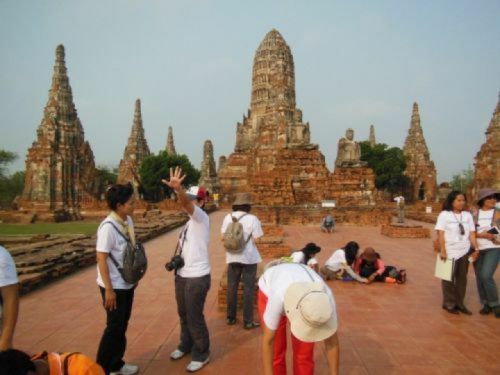 Ayutthaya Thailand and Yogyakarta Indonesia are twin cities of indianization in Southeast Asia 1. 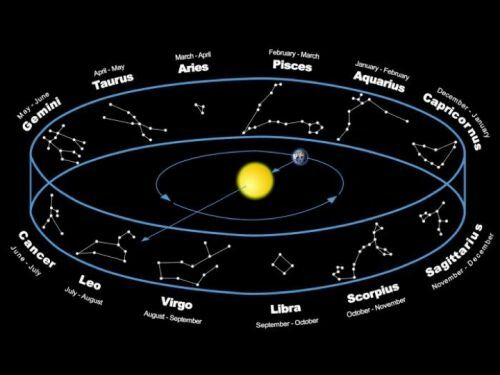 It is well known that Hinduism is closely related with astronomy their mythology and literatures are fully loaded with the astronomical phenomena such as equinoxes, solstices, zodiacs and nakshatras. 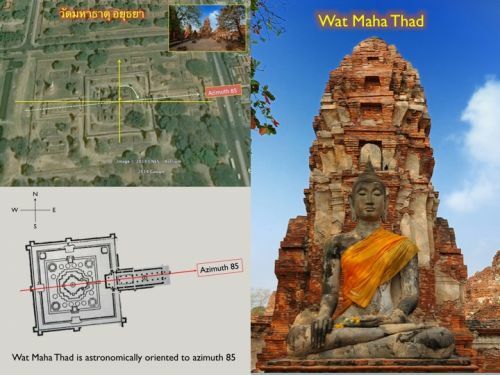 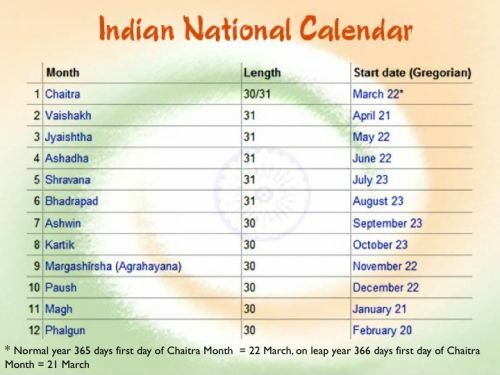 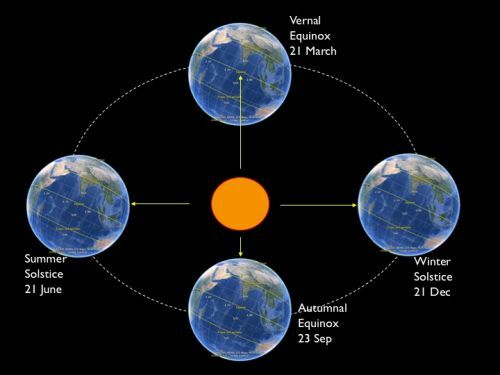 Hindu calendar is corresponded to the solar year of 12 zodiacs with combination of lunar cycles called “Lunisolar Calendar” that came into Ayutthaya Kingdom via the Angkorian Empire as Saka Calendar. 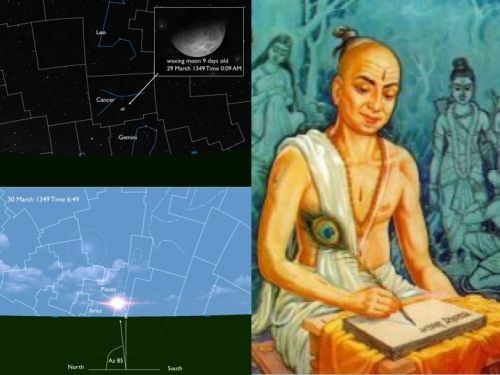 Since the dawn of Siamese History, the High Priest called Brahmin or Purohita in the Royal Court had been playing great role in various rituals and ceremonies they were regarded as Royal Astrologer with high knowledge in astronomy. 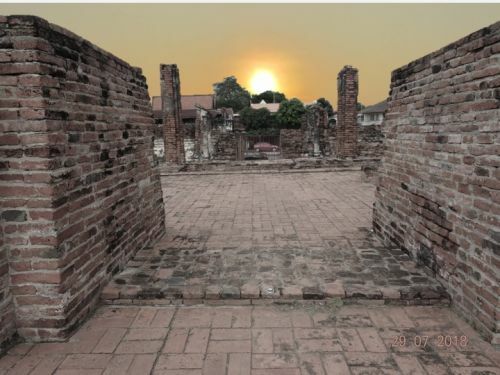 Thus most of the ancient Siamese Royal Cities like Sukotai and Chiang Mai are related to some kind of astronomical events. 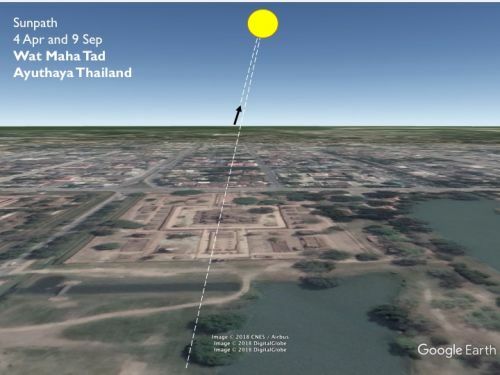 Sun is positioned at azimuth 85 while moving from zodiac Pisces to Aries on 30 March 1349 AD, this is astrologically called "Maha Songkran"
Major temples of Ayutthaya are aligned to the astronomical phenomena synchronized with birthday of Lord Ram ....... "the sacred direction"
This is the reason why well known temples in Ayutthaya such as Wat Maha Thad, Wat Rajburana, Wat Sri San Phet, Wat Na Phra Meru and Wat Phra Ram are oriented to azimuth 85 in order to represented birthday of Lord Ram or Ram Navami. 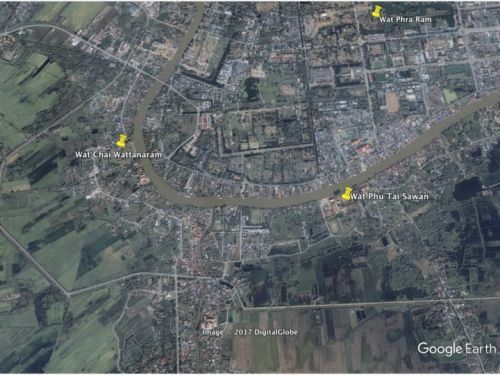 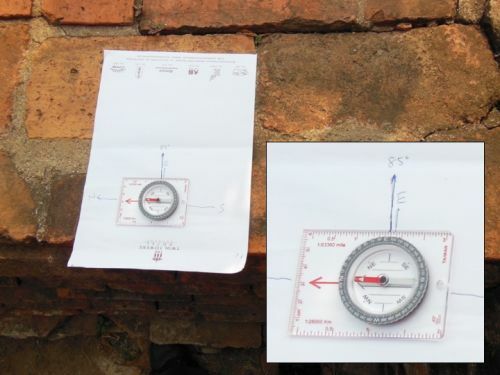 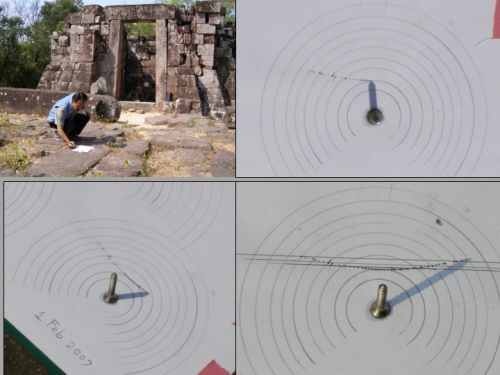 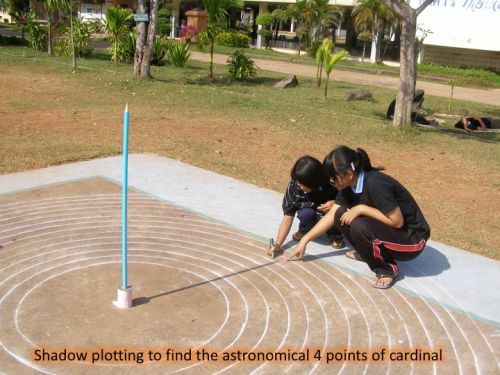 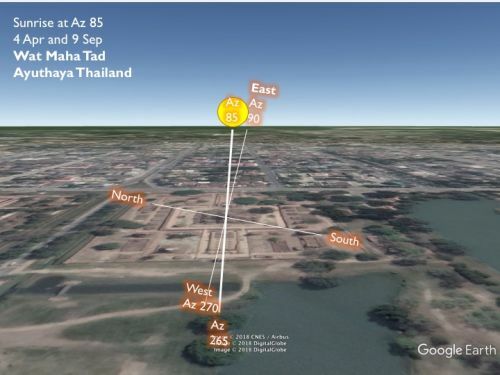 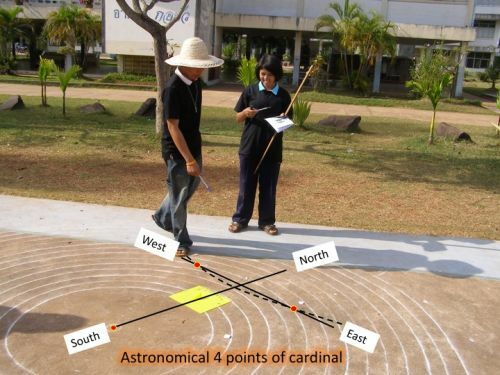 The following photos of Google Earth showing major temples in the ancient city of Ayutthaya are aligned at 85 degree ..... "the sacred direction"
1.Find out the astronomical 4 points of cardinal by mean of shadow plot, this method had been practicing in the ancient day of the Egyptian, Greek, Roman and Indian 7. 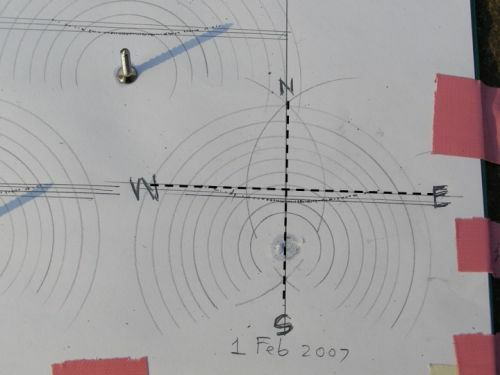 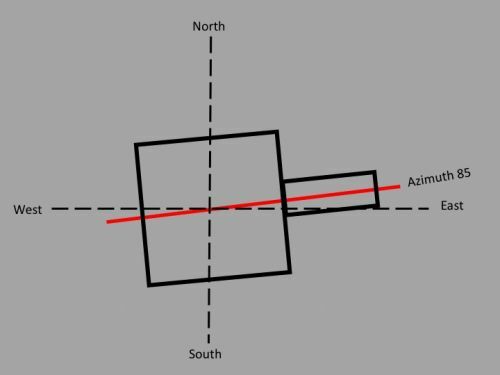 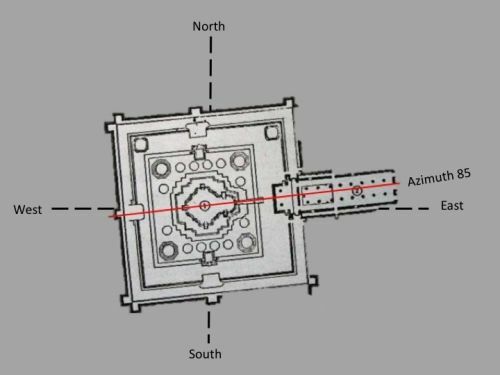 4.After the original temple with sacred direction was constructed, the rests can be easily replicated by mean of geographical and mathematical method. 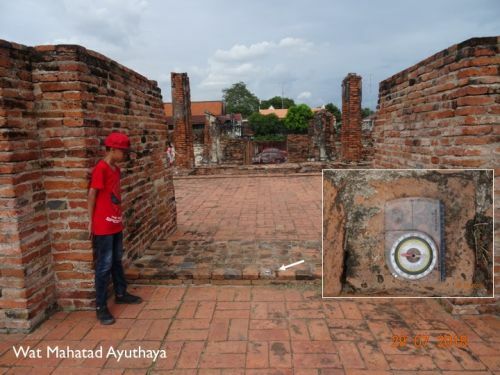 What had happening on the day of royal ceremony to inaugurate Rattanakosin City "The Second Ayuthaya"
Thai website told story of what had happening on the day of royal ceremony to inaugurate Rattanakosin City, there were 4 small snakes found at the bottom of earthen pit where foundation pillar supposed to be laid. 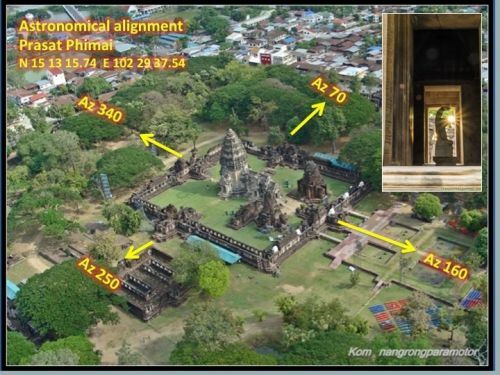 The ceremony had to be continued as scheduled so the poor snaked were buried alive in the pit. 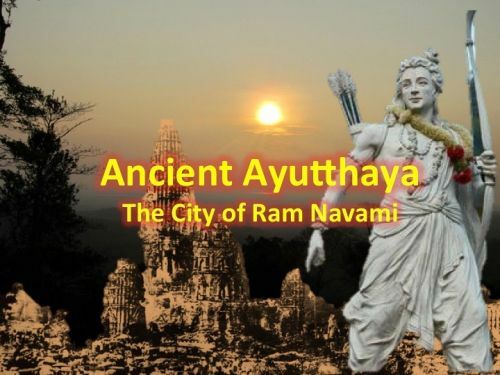 Thai society is full loaded with story of Lord Ram, many public infrastructures, Government institutes and private business are named after Lord Ram. 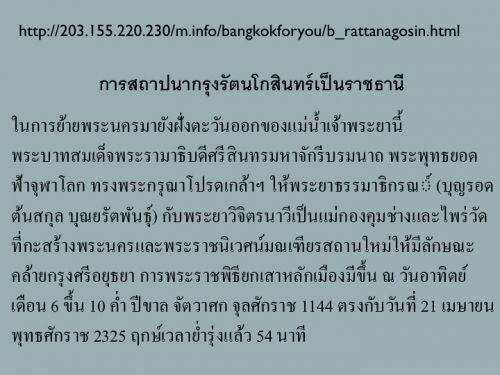 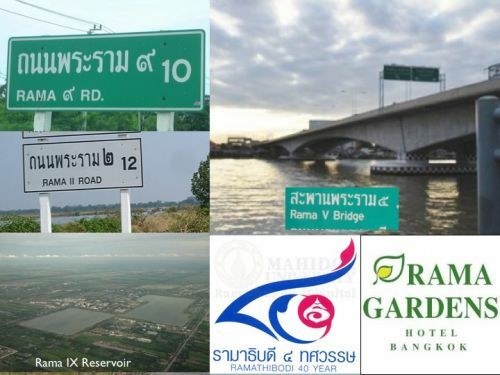 Many roads and bridges in Bangkok are RAMA and one of the outstanding hospital and nursring school are named "Ramathibodi". 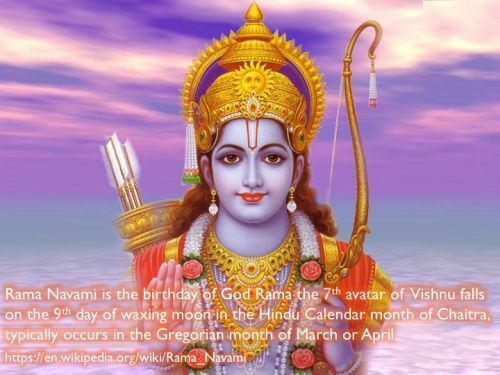 Ramayana is the most popular story for national cultural shows. 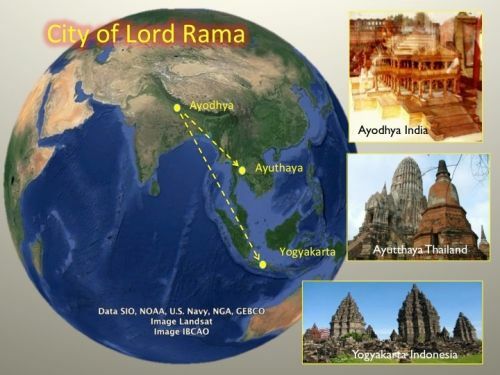 Despite to the modernization lifestyle, Lord Ram is still living with the Thai society. 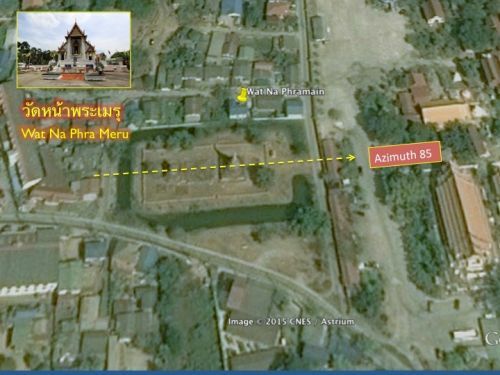 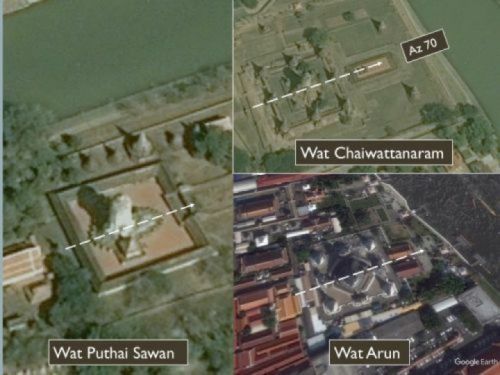 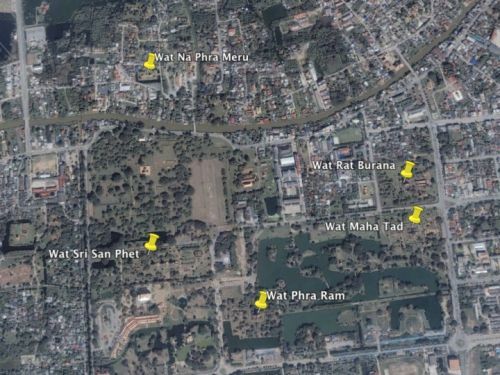 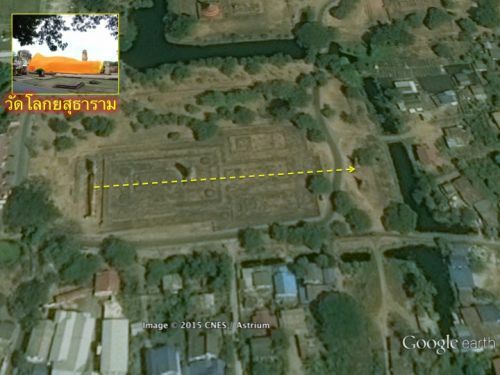 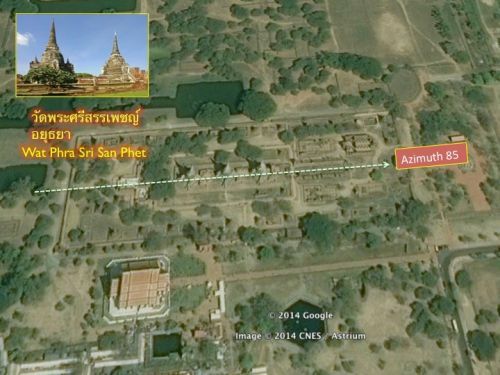 It is quite strange that Wat Chaiwattanaram and Wat Phutai Sawan located on the west bank of Chao Phraya River are aligned to azimuth 70 much different from the other temples in Ayutthaya City. 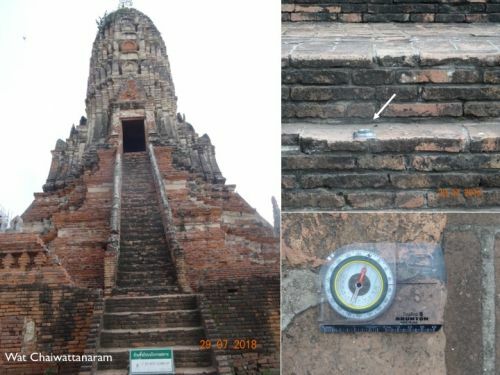 So far there is no satisfactory explaination and more over they are exactly the same as Wat Arun in Bangkok Metropolitan (previously Thonburi). 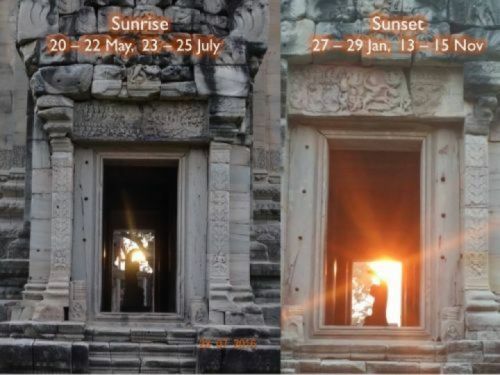 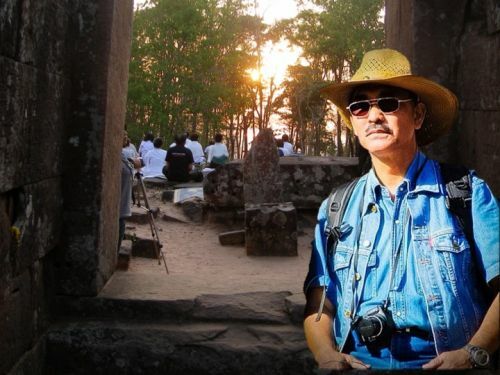 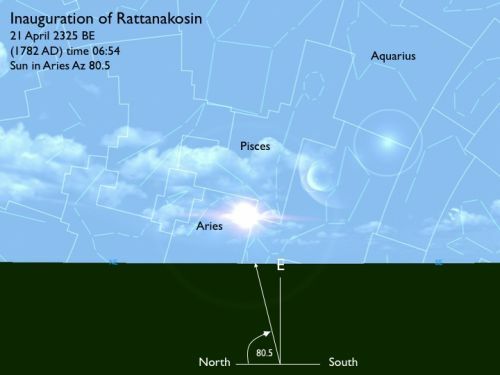 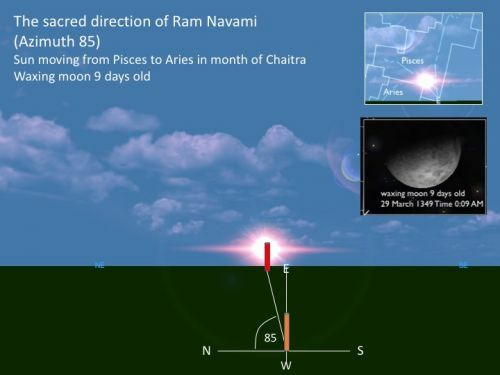 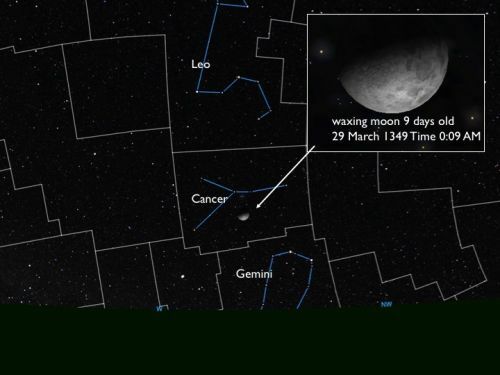 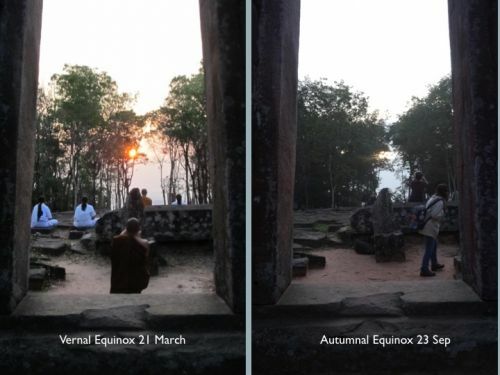 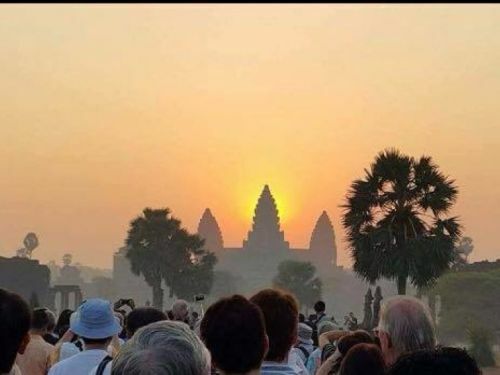 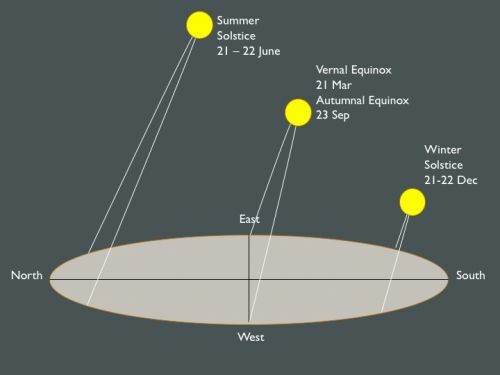 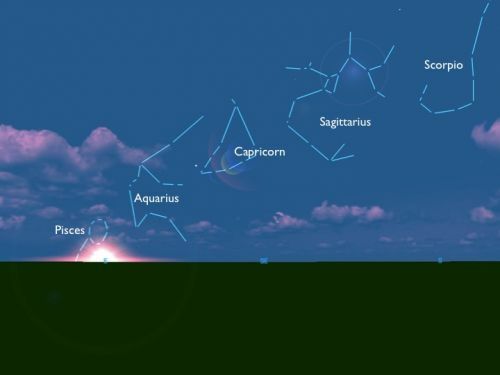 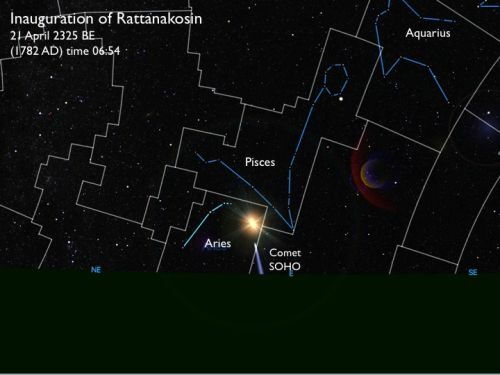 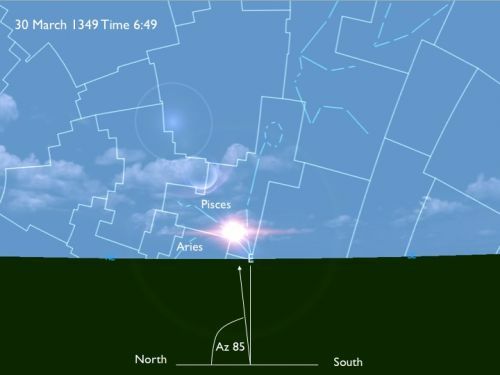 Amazingly all these three temples having the same astronomical events of sunrise and sunset with Prasat Phimai (an ancient Khmer temple) in Nakon Rajasima or Korat Province. 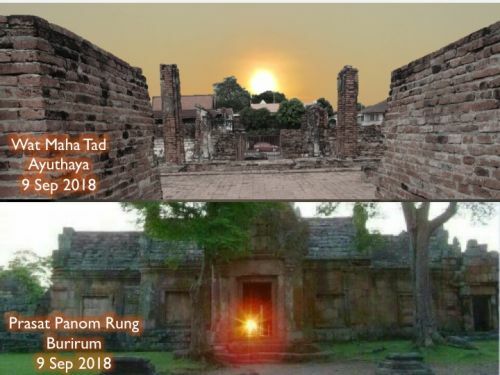 This computerized graphic shows that Wat Chai Wattanaram and Wat Phutai Sawan in Ayutthaya as well as Wat Arun in Bangkok are having the same astronomical events with Prasat Phimai. 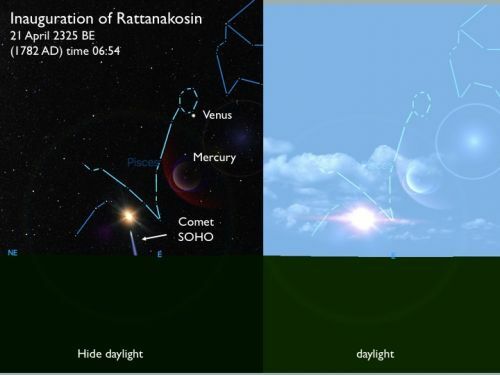 How and why they happened to be the same are still riddle!